What Is The Harambe Meme & Why Is It Competing With Jill Stein In The Polls? Don't look now, but the 2016 presidential race is heating up, and the newest development has nothing to do with what's happening in the two major parties. Sure, Democratic nominee Hillary Clinton and Republican nominee Donald Trump may be clashing in one of the highest-stakes presidential contests in modern memory, but America is home to any number of third-party and independent candidates, too. And thanks to the folks at Public Policy Polling, we now have some crucial new insight into the state of the race in Texas: Harambe, memes and all, is tied with Jill Stein in a new poll. The venerated slain gorilla, who's living on through a series of epic memes that never seem to get old, is generating some major momentum that might give actual, registered third party candidates a run for their money. To be clear, Harambe and Stein actually weren't matched up head-to-head in this Texas poll. But when respondents were offered either as an alternative choice to Trump and Clinton (in addition to Gary Johnson, Evan McMullin, and fictional independent "Deez Nutz"), they both turned out the same percentage of the vote, a meager 2 percent. Stein isn't the only politician who's found Harambe to be a thorn in their side, either, nor is this the first time his name has made it onto a presidential survey. 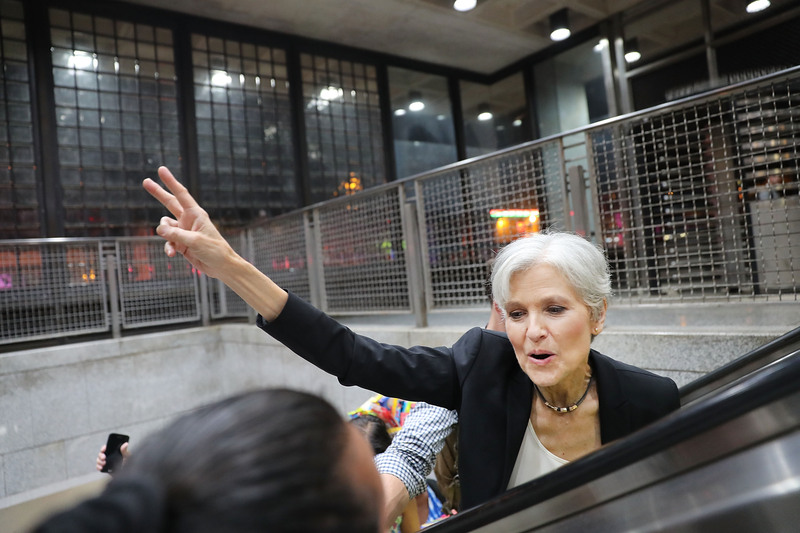 At the end of July, fresh off the two major party conventions, PPP ran a national poll in which Harambe hit 5 percent, against just 2 percent for Stein. It also showed, with a number that's much more devastatingly relevant to the outcome of the race, that Trump is also losing to Harambe among black Americans. The PPP poll from July found Trump drawing just two percent black support nationally, while Harambe sat at a comfortable six percent, a four-point advantage that can't simply be laughed off the way the Stein numbers can be. Simply put, Trump's support among black voters is so low that he can't even beat out an obvious joke, even in one of the deepest-red states in the country. In any case, here's hoping that Stein can buff those numbers up a little bit, because needless to say, they aren't exactly promising.